Everyone is talking about the Common Core! And now, it's that time of the year to start thinking about Assessments. The brand new Common Core Standards Assessment Workbooks are here! 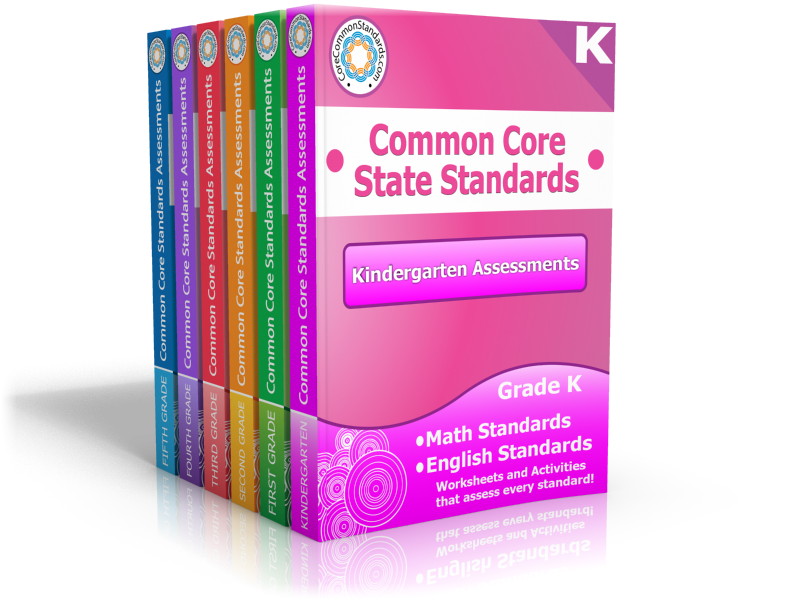 These Common Core Standards Assessments offer an easy and effective way to test every Common Core Standard for Math and English! Each Assessment Workbook, available in grades Kindergarten, First Grade, Second, Grade, Third Grade, Fourth Grade, and Fifth Grade, includes about 100 pages of Common Core Assessments for all the English and Math Common Core Standards! Answer Keys and Progress Reports Are Included in each workbook.